The ghost of Fascism has loomed large over Italy’s feverish election campaign and rising right-wing coalition. Yet unlike Mussolini’s totalitarian regime, today’s populist politicians have shown little interest in culture—it barely gets a mention in the comeback manifesto of Berlusconi’s Forza Italia party. 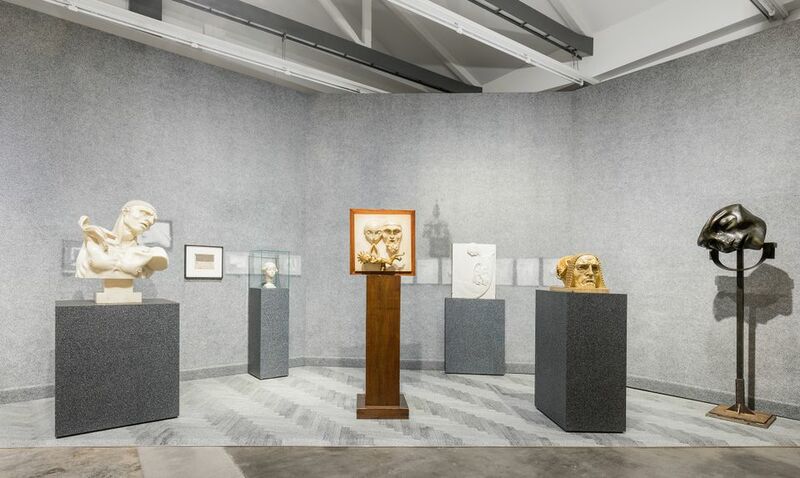 By contrast, Fascism emerges as interwar Italy’s number one art patron and an aesthetic force to be reckoned with in a fascinating new exhibition at Milan’s Fondazione Prada. The timing of Post Zang Tumb Tuuum. Art Life Politics: Italia 1918-1943, which opened a fortnight before Sunday's vote, was pure coincidence, says the foundation’s artistic and scientific superintendent, Germano Celant. A sprawling survey of Italian art during the Fascist era, the show fills four spaces of the 19,000 sq. m Prada campus with more than 600 works and around 1,000 archival documents. This mammoth undertaking in fact began three years ago, with a conversation between Celant and Miuccia Prada. A compelling curatorial gambit underpins the show’s gargantuan, even overwhelming scale. Works are hung chronologically, not according to the date they were made but when they were exhibited. Almost every room is anchored by a black-and-white photograph of a historic display, whether public or private, in Italy or abroad. Twenty-four of these are partially reconstructed at life size, with works slotted into place against enlarged renderings. The effect is to collapse any hierarchy between major and minor works, famous and forgotten artists—exposing the state-run system in which they were all implicated. But Fascist aesthetics were remarkably flexible. Mussolini may have had little personal regard for the visual arts, but he understood their propagandistic power. For years, his regime supported artists regardless of style, from the tradition-hating Futurists to the classically-inspired Novecento group—the brainchild of his mistress, the art critic Margherita Sarfatti. His cultured education minister, Giuseppe Bottai, “opened up to a new generation of artists and art historians”, Celant says. Pluralism is the only constant in many of the Prada galleries. In the 1920s, you walk from Adolfo Wildt’s bombastic, neo-baroque marble sculptures to a zanily colourful Futurist cityscape by Fortunato Depero, and on to Arturo Martini’s chintzy animal ceramics. Even 1935—two years after Italy’s first official contact with Nazi Germany and three before it passed racial laws barring Jews from public life—produces an eclectic mix. Felice Casorati’s primitivist portrait of his wife faces Fausto Melotti’s abstract white plasters, with a pair of tubular ponyskin chairs designed by Luigi Figini and Gino Pollini in between. A vitrine bears a letter informing Gino Severini, a founding Futurist turned classicist, that he has won the grand prize of 100,000 lira for his solo show of paintings in Rome’s second Quadriennale of National Art that year. It comes on headed paper “under the auspices of the head of government” and is signed with “warmest fascist greetings”. It is a marker of just how many Italian artists, with varying degrees of political commitment, participated in the official biennials, triennials and quadrennials. In 1927, the regime decreed that all exhibitions must be authorised by the government and published in the Gazzetta Ufficiale, its official journal of record. The state would not dictate art’s content, but it did control the structures for it to reach a wider audience. For in the hands of Fascism, exhibitions were a mass medium, ripe for nation-building and international diplomacy. 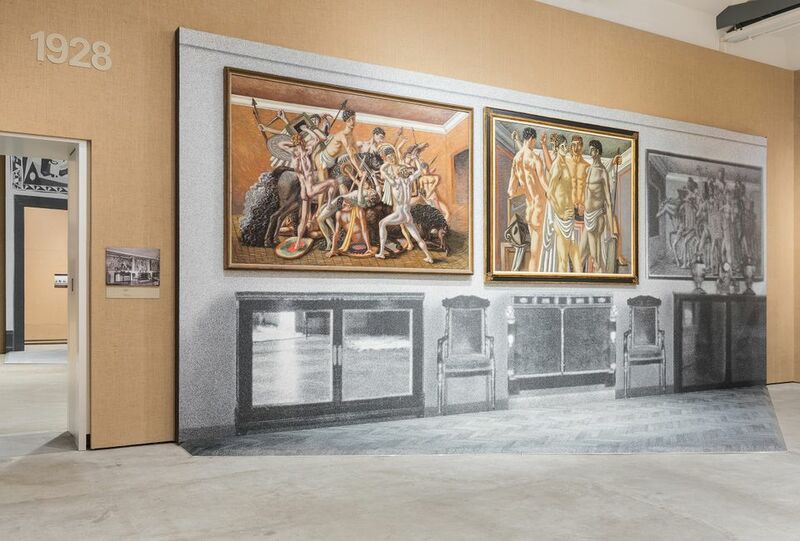 The party hired artists and historians to create the immersive Mostra della Rivoluzione Fascista in 1932, in celebration of the tenth anniversary of Mussolini’s March on Rome. 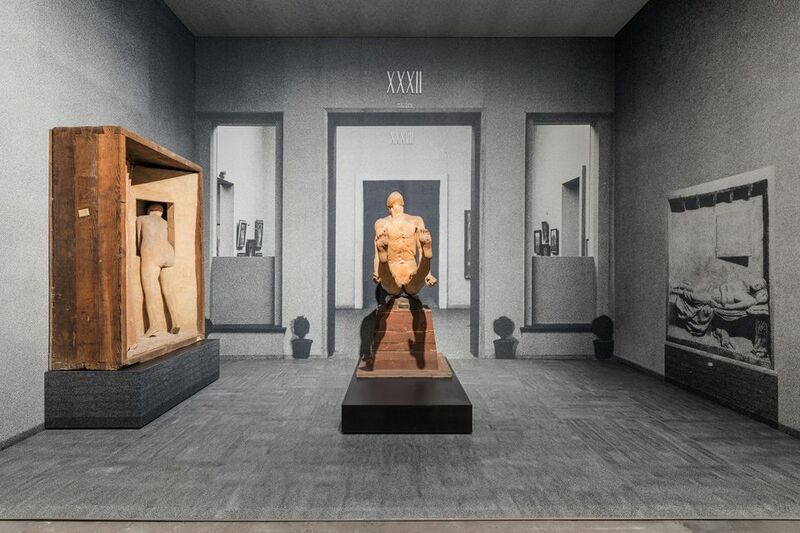 Fusing Futurist photomontage with rationalist architecture and bold typography, the emotionally charged show was seen by 3.7 million visitors during its two-year run—the equivalent of one in ten Italians. 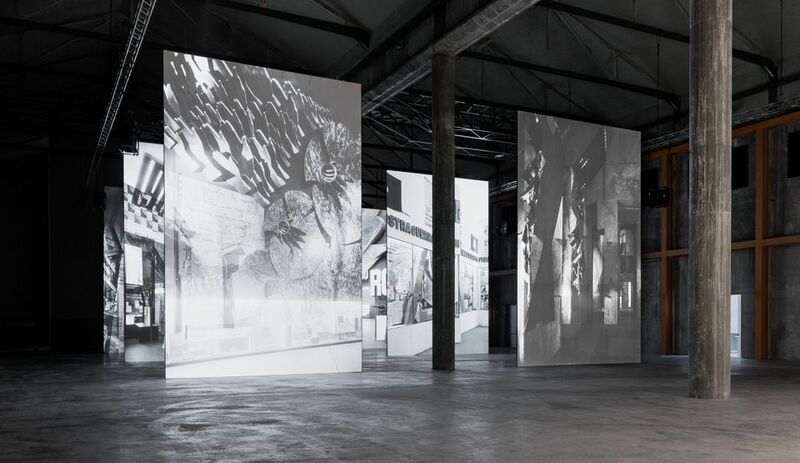 The foundation’s hangar-like Deposito captures a sense of the dramatic experience through monumental projections of archival photographs. Inevitably, there are few traces of political resistance in the narrative here. Opponents of the regime were exiled or imprisoned, although the final room makes a poignant attempt to represent them. To the right are the grand architectural designs for Mussolini’s never-completed E42 project in Rome, the Expo intended to mark Fascism’s 20th year but scuppered by the war. To the left are arrayed works from Mino Maccari’s Dux series, lampooning Il Duce in the year he fell from power, Mario Mafai’s nightmarish Fantasia scenes of violent struggle, Carlo Levi’s painting of a pile of white corpses in a concentration camp and Corrado Cagli’s drawings of Buchenwald. Small though they are, they are vital to understanding the menace that lay behind the official Fascist image.